LOVE WHERE YOU LIVE! Nestled in the heart of Jacksonville's Southside, the beautiful gated community of Ironwood offers an escape to the perfect hideaway. 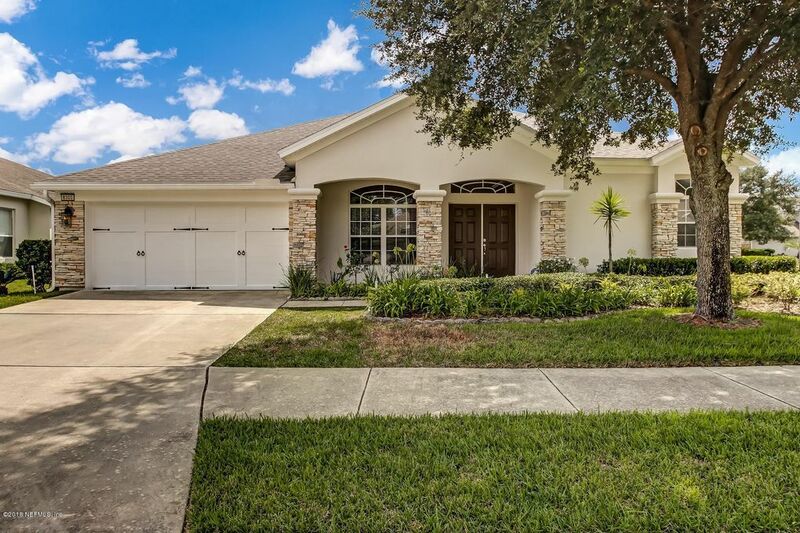 This beautiful 4 Bed, 3 1/2 Bath home offers concrete construction & light filled interior. Double door entry opens to grand Foyer, Office/Den with double doors, Living Room, Dining Room, & Kitchen open to Family Room. Owner's Suite has 2 generous walk-in closets, spacious Owner's Bath with 2 vanities, large shower & soaking tub. 2nd level Bonus Room with 1/2 Bath. 2 Guest Bedrooms share a Bath. 4th Bedroom has separate full Bath & private entrance. Laundry room has a folding counter & sink. Special features include art niches, wood laminant flooring, wainscoting, recessed lighting & high ceilings. Large screened Lanai for relaxing. Directions: From Butler Blvd, take Belfort Rd Exit N. Just after St. Luke's Hospital, take a right onto Gate Parkway West heading east. Ironwood Gated Community. L on Silverpoint, R on Hedgewood.